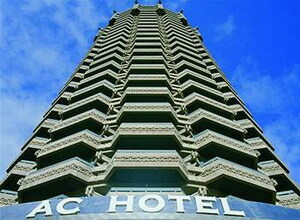 The contemporary AC Gran Canaria hotel towers above the city of Las Palmas on the island of Gran Canaria, Spain. Las Palmas offers numerous shopping, dining and entertainment venues. 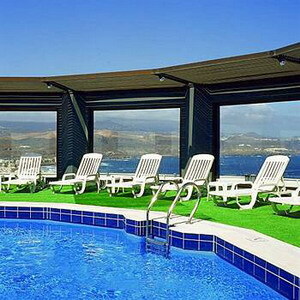 Moreover, the hotel stands within two kilometers of Playa de Las Canteras, the popular Spanish beach. 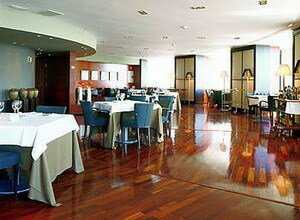 Las Palmas Airport is located 22 kilometers from the hotel. 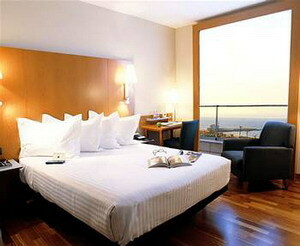 AC Gran Canaria's tall stature provides panoramic city views. Le Volant Restaurant offers expansive views from the 23rd and 24th floors of the hotel, and serves light lunches and a la carte menus using local ingredients. Among the hotel's rejuvenating amenities, the hotel features a fitness center, a sauna and a pool surrounded by lounge chairs. 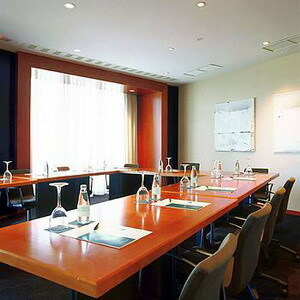 The hotel also offers numerous business related amenities including a business centre, seven conference rooms, computer rentals and high-speed Internet access. 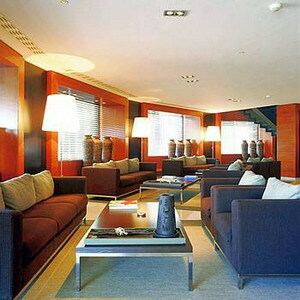 Other noteworthy amenities include concierge service and 24-hour front desk service. Cocodrilo Park is a popular attraction in Las Palmas. The park houses an array of rescued animals, from crocodiles and Bengal tigers to chimpanzees and exotic birds. 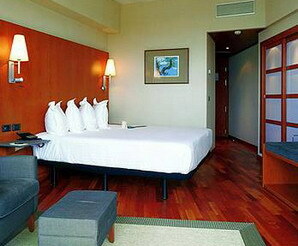 AC Gran Canaria's 227 guestrooms display contemporary design. Plump pillows pile atop beds dressed in white linens and clean-lined sofas sit atop polished wood floors. French doors open to fresh-air balconies. Technological amenities include cable television and high-speed Internet access. In-room minibars stock complimentary beverages. Private bathrooms offer hair dryers, makeup mirrors and complimentary toiletries.